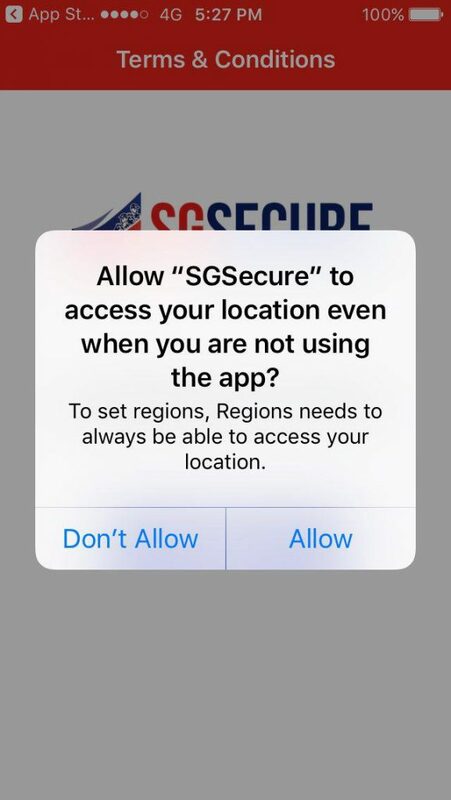 The SGSecure app, which is supposed to protect your safety by sending out alerts about emergencies nearby, has been in the news recently for all the wrong reasons. It received a slew of one-star reviews from NSFs who complained that they were forced to download it by their superiors. 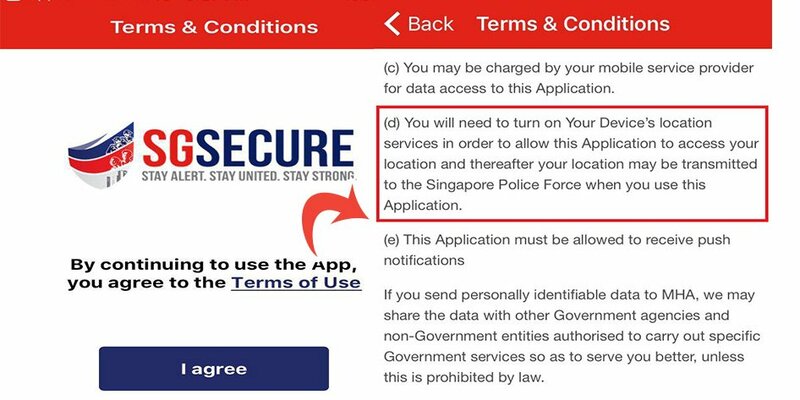 Read our story about the SGSecure app getting one-star reviews from NSFs. However, we think there’s a more insidious concern with the app that people haven’t noticed — it also enables the police to track your location, sends personally identifiable data to the government, and even makes you pay for the data costs incurred while doing this. When you try to install the app on your phone, you will receive this message that most people have seen dozens of times while installing new apps. Perhaps you should read it, though. 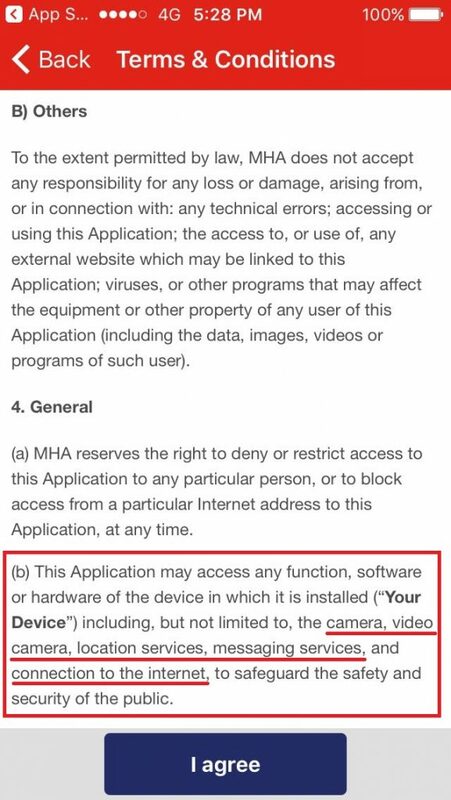 Would you be okay with the app accessing functions like the camera, messaging and Internet connection, if it’s to “safeguard the safety and security of the public”? Exactly what type of access would they have to your messaging apps? 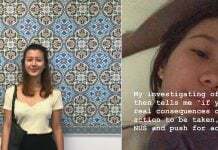 Could they look through the messages you send to your friends, family and lovers? Perhaps you would say that that’s a normal function of many apps, and it’s only doing so for the general good — it won’t abuse this access. Fine then. How about sub-sections (d) and (e), then? 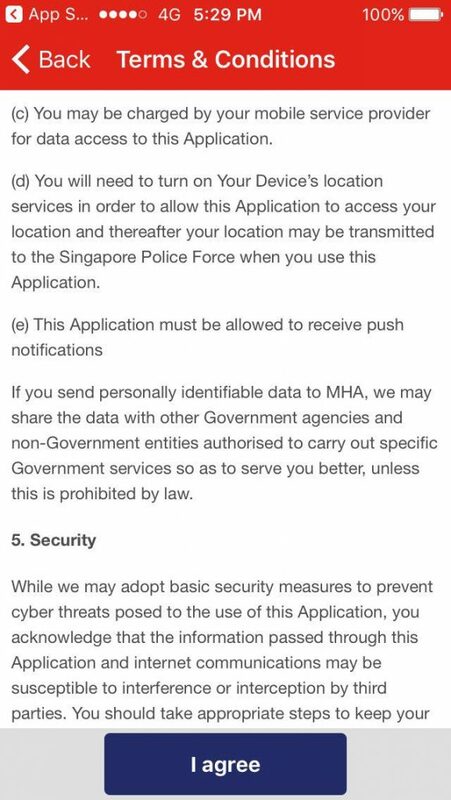 Not only do users have to turn their phone’s location services for the app to find out where exactly you are, your location may also be sent to the police when you use it. Does that sound like something you would accept? Even if you are a law-abiding citizen, would you be comfortable with the police knowing where you go for your favourite cup of teh peng? 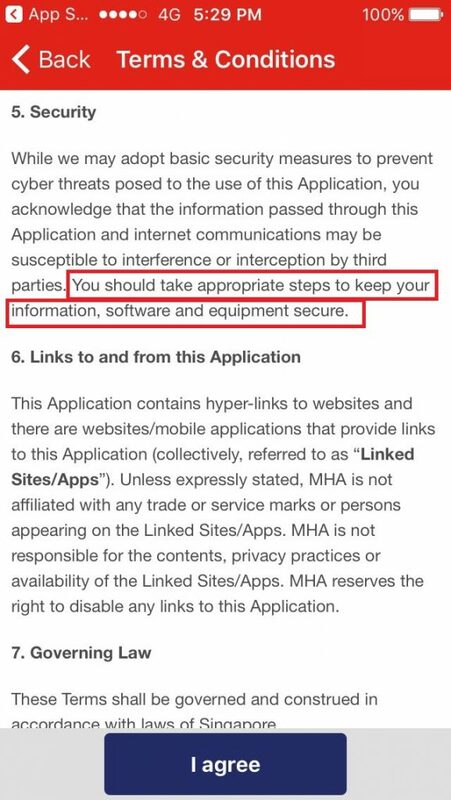 What this means is that the Ministry of Home Affairs (MHA) can basically share your data with anybody, just to serve you better. How nice of them. Wonder who judges what “serves you better”, though. And what’s more, for the valuable service of sharing your location and personal data with the authorities, you may be charged by your service provider. 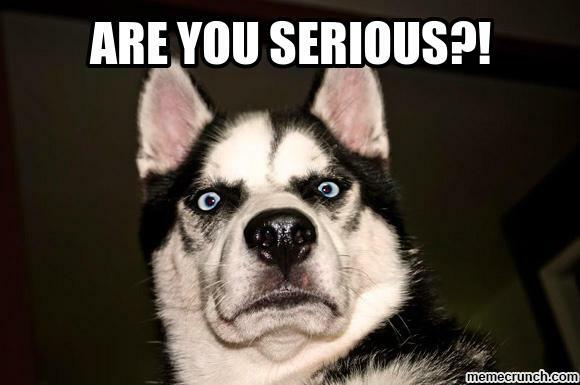 Yup, the SGSecure app takes your data and makes you pay for it. 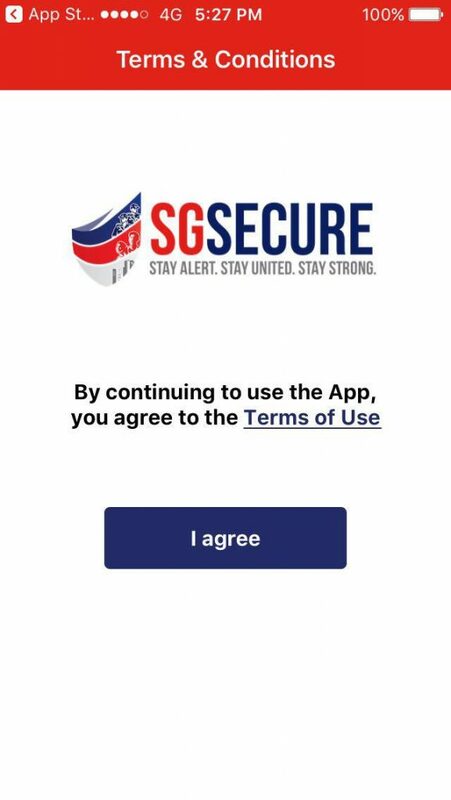 Ironically, by agreeing to download the SGSecure app, we’re basically giving out our own information to who-knows-what, and we’re not certain how secure that may be. 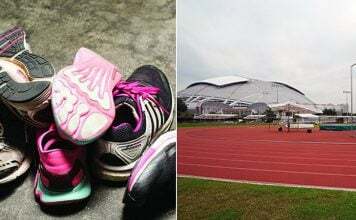 And that’s for those who have a choice — a Mindef statement on Friday (July 28), reported by The Straits Times, said that it’s compulsory for all Mindef and SAF personnel to download the app. That includes full-time national servicemen. 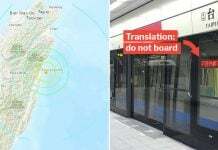 It won’t be surprising if people say the app is actually a means to track the location of servicemen.